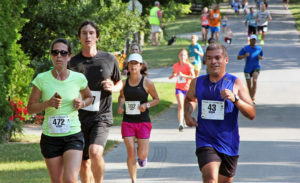 Friends of Fishtown 5K on Saturday, July 22 – works with timing company Endurance Evolution of Traverse City to provide live tracking – which means instantaneous results! Pick-up race packets on Friday, July 21 from 2-4pm, including bib numbers available for runners who registered online. After the race, live tracking, and results can be found here and on the FPS Facebook page.